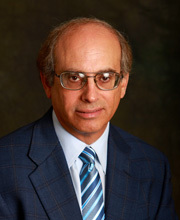 RICHARD M. BLUMENTHAL is an attorney with the firm of Vogt | Resnick | Sherak and brings to the firm a full range of general transactional services for businesses and individuals, including formation of corporations, partnership and limited liability companies, real estate transactions, and contract review and preparation. MR. BLUMENTHAL ALSO PROVIDES thorough and detailed estate planning services, including drafting wills, revocable and irrevocable trusts, trust amendments, and powers of attorney, as well as trust administration and planned gifting. MR. BLUMENTHAL IS A MEMBER of the California State Bar and Orange County Bar Association and an active member of the Business Law section of the Orange County Bar Association. He is a frequent speaker before various groups on business law, real estate and estate planning topics. MR. BLUMENTHAL RECEIVED HIS JURIS DOCTOR DEGREE from Loyola University School of Law, Los Angeles, in 1977. He received his B.A. in Political Science from University of California, Berkeley with highest honors in 1974.